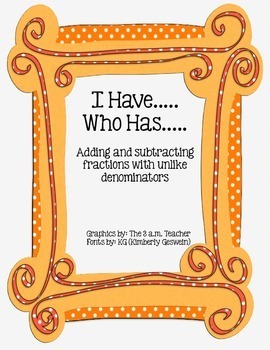 This "I Have....Who Has...." game reinforces adding fractions with unlike denominators. There are 30 total cards. 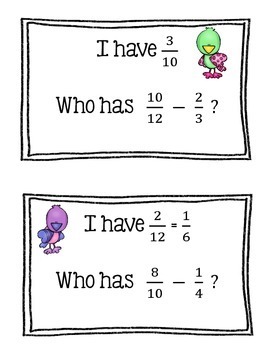 All students will need to solve each problem to see if they have the correct number. I suggest you print the cards twice. 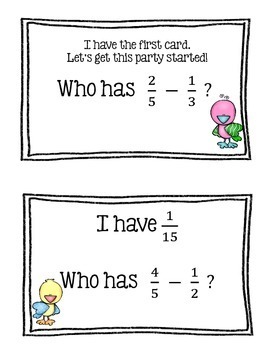 One set can be used as the answer key, as the cards are in order when they print. 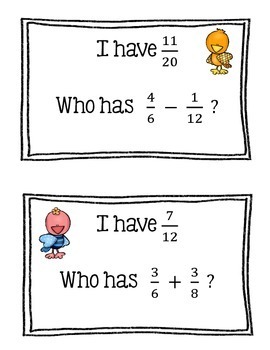 The other set can be laminated if you prefer. Be sure to shuffle the cards before beginning the game.